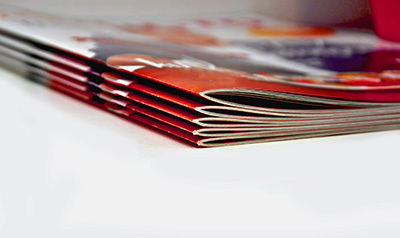 Brochure Printing Services | Rite Envelopes & Graphics, Inc. Does your business want to stand out from the competition with more sophisticated and eye-catching color brochures? Compared to plain black and white print brochures, a color brochure delivers an attractive brand message with higher visual impact to its recipient. Look no further than Rite Envelope & Graphics, Inc. when your business is ready to stand out from the crowd with unique, one-of-a-kind color brochures! Do You Need Custom Color Brochure Printing? Rite Envelope & Graphics, Inc. is more than just an envelope manufacturer and wholesale seller; we are skilled craftspeople in custom printing, envelope construction, and design. If you need menus printed in full color and have personalized details to incorporate (such as paper style, finish, and weight), our custom color brochure printing service is sure to please both you and your customers. If you have an exhibition coming up, an important business meeting, or another special occasion in which a brochure is necessary to visually present your points, Rite Envelope & Graphics, Inc. is the premier color brochure printing provider in the Tri-State area. Our capabilities allow for our customers to use a custom design to turn a brochure into an invitation, a presentation package, a resume, a map, and much more. If you can think it up, we can design it, print it, construct it, and have it ready to send in no time. Let your imagination run wild with Rite Envelope & Graphics, today. …And throughout the domestic United States! We encourage you to call us with any questions you may have at 610-981-2373 at your earliest convenience. Orders may be placed online or by phone today. Unlike other color brochure printing companies, Rite Envelope & Graphics, Inc. takes several extra steps to detract from the negative impact that waste has on our planet. We are a green printing company that uses only vegetable and soy-based inks. Our initiative has always been to reduce our carbon footprint while providing unparalleled excellence in our craft. One of the very first significant improvements that we decided to make as a company was to completely digitize our prepress process: we eliminated our use of silver and film chemistry by changing to a direct-to-plate method of design and implementation. In an effort to support our local communities and prolong the health of our planet, we also choose to recycle all of our paper, boxes, printing plates, and other supplies. Regardless of where you live, it is important to participate in bettering the environment. Choose Rite Envelope & Graphics, Inc. not just because our products are durable, beautiful, and come in bulk, but also because we are a company that cares about our products, our customers, and the planet we call home. Residents of Washington, New York and other cities along the East Coast can depend on us for all of their printing and envelope needs. Give us a call today at 610-981-2373 to order your custom designs.